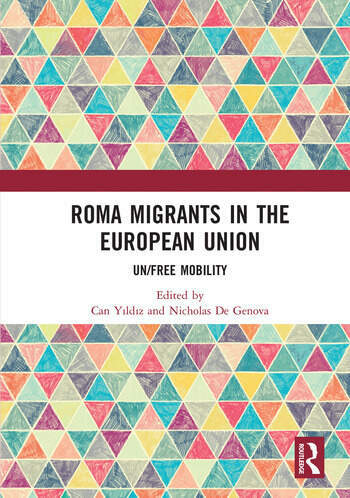 This book situates Roma mobility as a critical vantage point for migration studies in Europe, focusing on questions about Europe, ‘European-ness’, and ‘EU-ropean’ citizenship through the critical lens of Roma racialisation, marginalisation, securitisation, and criminalisation, and the dynamics of Roma mobility within and across the space of ‘Europe’. Enabled primarily through ethnographic research with diverse Roma communities across the heterogeneous geography of ‘Europe’, the contributions to this collection are concerned with the larger politics of mobility as a constitutive feature of the socio-political formation of the EU. Foregrounding the experiences and perspectives of Roma living and working outside of their nation-states of ‘origin’ or ostensible citizenship, the book seeks to elucidate wider inequalities and hierarchies at stake in the ongoing (re-)racialisation of both Roma migrants and migrants in general. Showcasing political, economic, legal and socio-historical criticism, this book will be of interest to those studying race and racialisation in Europe, mobility and migration into and within Europe, and those studying the mobility of the Roma people in particular. This book was originally published as a special issue of the Social Identities journal. Can Yildiz is a Ph.D. student in the Department of Geography at King’s College London, UK. Her current doctoral research, provisionally titled "The Roma Spectacle: Foreignness, Racialisation, and Mobility among Roma Women in and out of a London Prison," examines the British criminal justice system from the vantage point of eastern European Roma women who serve time in prison for committing petty offences such as pickpocketing and shoplifting. Nicholas De Genova is a scholar of migration, borders, race, citizenship, and labor. He holds an appointment as Professor and Chair of the Department of Comparative Cultural Studies at the University of Houston, USA. He is the author or editor of several books, including The Borders of "Europe": Autonomy of Migration, Tactics of Bordering (2017).